KTG Tours is a Seniors Coach Tour Company. 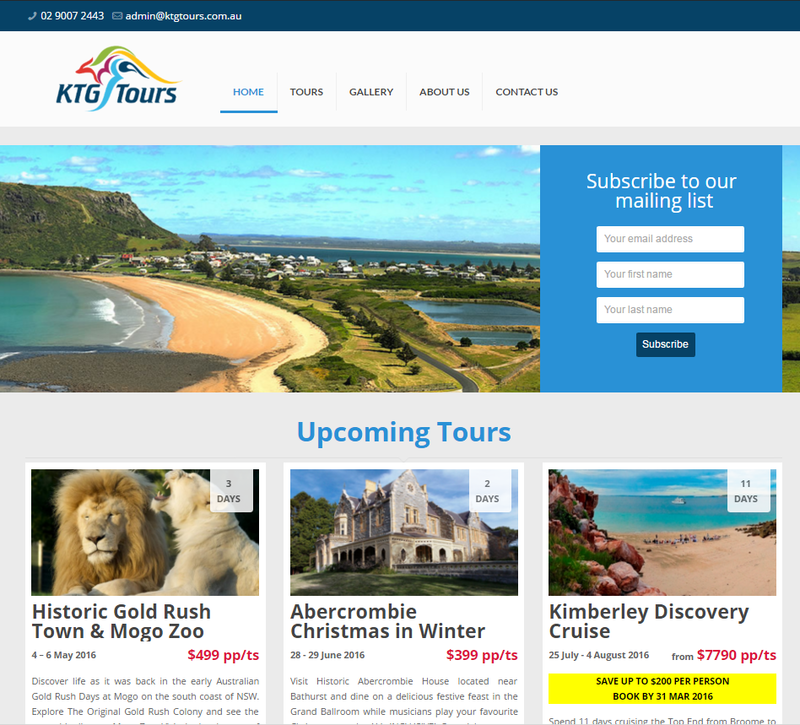 They wanted a website to help advertise their tours to the seniors market. The site had to be clear and easy to understand with their customer base with simple and straight forward navigation.